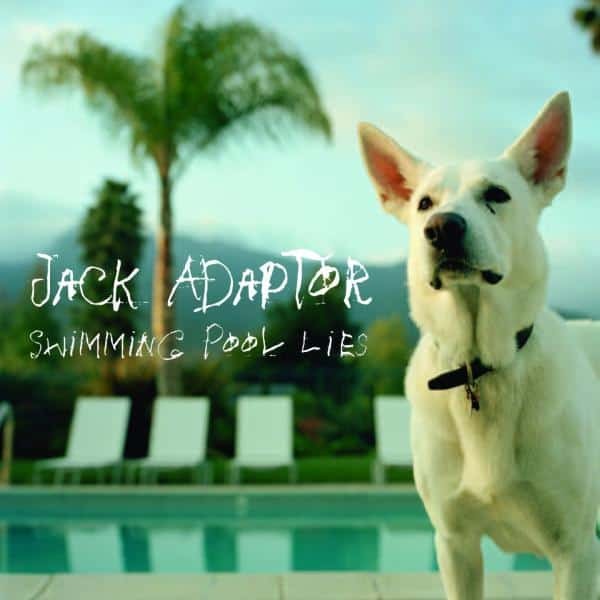 Swimming Pool Lies is the fourth album from Jack Adaptor. Swimming Pool Lies was recorded with Mat Hempel at Bluestone and was originally going to be the first CC solo record, but PF hijacked the project, determined to sing some of the songs and contribute somehow. Anything not to be left out! Though the shared song-writing credit abides, CC wrote the best songs (Come Get Me, Human Pinata, Vagabond Inn, Why Can’t Love Be Enough). Some of the songs were demoed live with PF playing hilarious bass, an attempt which led to the legendary (and now lost) Moosejaw sessions. Swimming Pool Lies was started before Right Royal but not completed until after Right Royal was released. The artwork photos are by Gabrielle Motola, who also provided the imagery for Road Rail River.